For the second consecutive year, Sand County Foundation, Wisconsin Farm Bureau Federation and Wisconsin Land and Water Conservation Association have announced Milk Source LLC is one of three finalists for the prestigious Wisconsin Leopold Conservation Award®, which honors Wisconsin landowner achievement in voluntary stewardship and management of natural resources. •David and Leslie Meuer, who own and manage Meuer Farm, LLC, a crop and beef cattle farm in Chilton, received the 2015 Award. •Ronald Brooks, who owns and manages Brooks Dairy Farm, a crop and dairy farm in Waupaca, was also named a finalist. The 2015 Leopold Conservation Award, which consists of $10,000 and a crystal depicting Aldo Leopold, will be presented at the Wisconsin Farm Bureau Federation annual meeting in December. 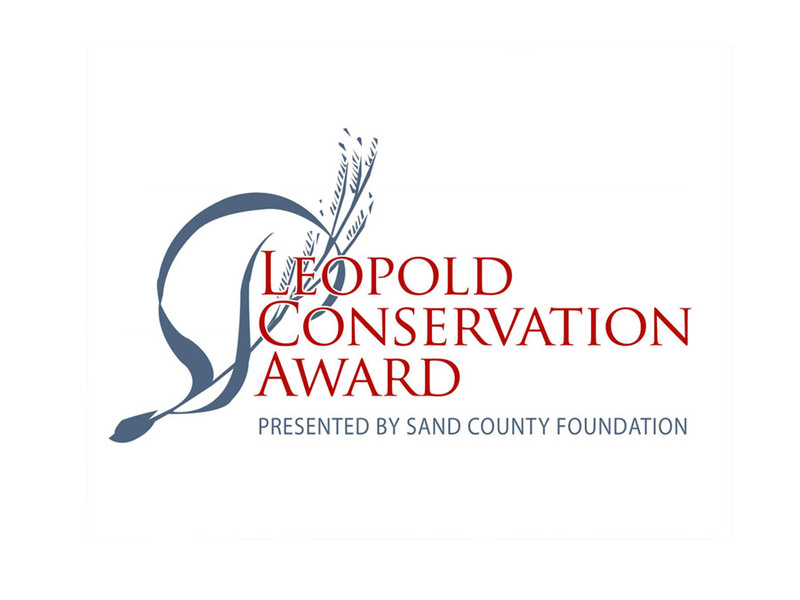 The Leopold Conservation Award in Wisconsin is made possible through the generous support of the Wisconsin Farm Bureau Federation, Wisconsin Land and Water Conservation Association, Wisconsin Energy Foundation, Wisconsin Milk Marketing Board, Badgerland Financial, Alliant Energy Foundation, American Transmission Company, DuPont Pioneer, The Mosaic Company and The Lynde and Harry Bradley Foundation. The Wisconsin Land and Water Conservation Association, a 501 (c) 3 non-profit, is a membership organization that supports the efforts of 450 Land Conservation Committee supervisors and 350 conservation staff in 72 county Land Conservation Department offices through training, conservation standards development, youth education, grants, partnership building, and advocacy.